This is a guest post written by Amy Bigelow. During this time, beneficiaries can make changes to their Medicare and Medicare Advantage plans. It’s time to enroll in Part A (hospital), Part B (medical) insurance and additional coverage including Part C or Part D. In the Medicare Advantage plans (Part C), seniors receive Medicare benefits through private health plans they have opted for. At the same time, beneficiaries can also select or change their Medicare Part D drug plans. According to The Kaiser Family Foundation, a nonprofit that specializes in health-policy analysis, many Medicare enrollees just reinstate their current plans without looking at the new premiums or added benefits of newly available plans. 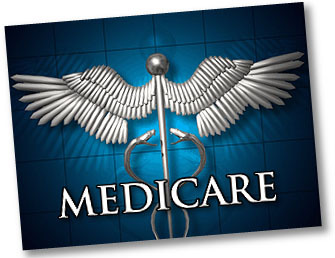 Seniors: Are You Selecting Your 2015 Medicare Benefits? There are a few significant changes that may benefit you—if you know about them first! I just helped my 71-year-old mother enroll and I am saving her $1,000 in 2015 (between her deductible, premium and prescription co-pays). AND- we figured out that all of her specialists are in-network, so she will be getting the same quality healthcare she has now. Even more, we had a Humana representative come to her home for a brief overview- who told her about the OTC (over-the-counter) medication program she’s had access to for years and never utilized. Crazy! It’s so important to stay in the know—otherwise you are probably losing money! In a recent article about Medicare improvements for 2015, a spokesperson stated, “Medicare wants everyone to know that quality continues to improve in both the Medicare Advantage and the Part D prescription drug programs.” This year, people with Medicare who choose to enroll in a Medicare Advantage or prescription drug plan have access to more high-rated, four- and five-star plans than ever before. Approximately 60% of Medicare Advantage enrollees are in a Medicare Advantage plan that earned four or five stars in 2015, compared to an estimated 17% back in 2009. This is good news. Plans that are rated higher deliver a high level of care, such as improving the coordination of care, managing diabetes or other chronic conditions, screening for and preventing illnesses, and getting much-needed access to prescription drugs. As far as my mother’s consultation, she discovered that the Humana Gold Plus HMO plan is going to save her a bundle: $0 prescription drug deductible instead of $320; $78 monthly premium instead of $117; $5 co-pay for doctor visits instead of $20; and $15 co-pay for a specialist visit instead of $30. The thing is- this Medicare Advantage Plan is new for 2015. If she would’ve just ignored the 2015 Medicare handbook and re-enrolled with the same plan as last year, she would’ve overspent by over $1,000 this year! The OTC medication plan offered to every Humana beneficiary? Up to $50 in brand name medications per month delivered to your door. This includes pain relievers, allergy relief, indigestion relief, sleep aids, first aid creams and ointments, bandages, the list goes on and on. She never even knew about this benefit! Now, she has her OTC medication catalog and can stop shelling out money at the drug store. I’m jealous! I guess aging has its benefits, right? I’m actually looking forward to Medicare at this point. Conclusion? Take the time to investigate the plans available to you. You know best which benefits you will utilize and how much coverage you really need. The goal should be select coverage that will maximize necessary benefits while keeping out of pocket costs down. If you are enrolling in Medicare 2015 and have questions, be sure to visit Medicare.gov, or call 1-800-MEDICARE (1-800-633-4227).